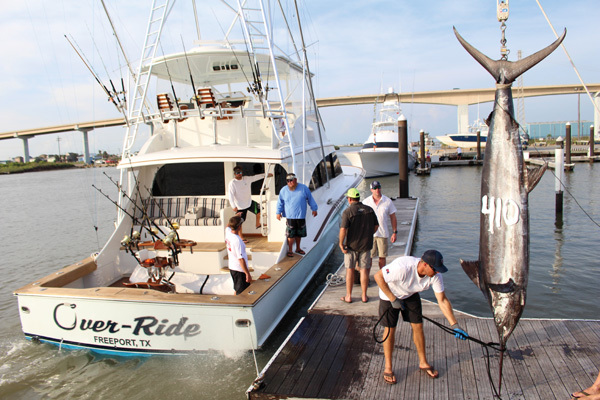 The Texas Billfish Classic celebrates its third year of bringing highly competitive billfishing back to Freeport. Over the past three years, the tourney has grown steadily and produces one of the most popular and enjoyable tournament formats on the Texas Gulf Coast. The original tournament was formed in the 1980s by many of the bluewater pioneers who put Freeport on the map as a Blue Marlin hotspot in the 80s and 90s. During this time the Billfish Classic was a premier event with a rich history of record catches and great times. In 2015, Tournament Director Jasen Gast resurrected the Texas Billfish Classic and added much more. The tournament works closely with three charities – the Freedom Alliance, The Billfish Foundation and the Freeport to Port O’Connor Toy Run. The Billfish Foundation operates worldwide to advance the conservation of billfish and associated species to improve the health of oceans and economies. The Freeport to Port O’Connor Toy Run has delivered toys, clothing and Christmas meals via boat to thousands of needy children on the Texas coast since 2006. The Freedom Alliance goes above and beyond to meet the needs of wounded warriors and their families. This includes rehab/recovery funds, customized wheelchairs, care packages to deployed troops and a scholarship fund for the children of fallen heroes. 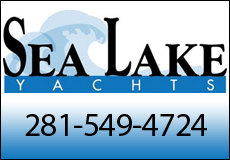 Jasen Gast has owned REHAB, a tournament winning 45’ Davis sportfisher, for five years now and has a history and passion for taking disabled children, veterans and others out on fishing trips. The opportunity to further help the needy came to Gast after meeting the Freedom Alliance’s Pepper Ailor while fishing in Costa Rica. “I met Jasen during the Triple Crown in Los Sueños, Costa Rica. He wanted to bring a more patriotic aspect to his tournament,” Ailor said. Since that meeting, the Texas Billfish Classic has already donated thousands to the charity and much more in the way of real life experiences and trips for our nation’s heroes. Each year the TBC invites a group of veterans down to Freeport to be involved in the week’s events and also embark on an offshore trip. With no cell phones or distractions, deeper connections are made during the inevitable lulls of a fishing trip and the shared exhilaration during the high excitement moments. Veteran group after a solid day catching fish during a donated trip on Galveston Bay in 2017. Photo by Pepper Ailor. 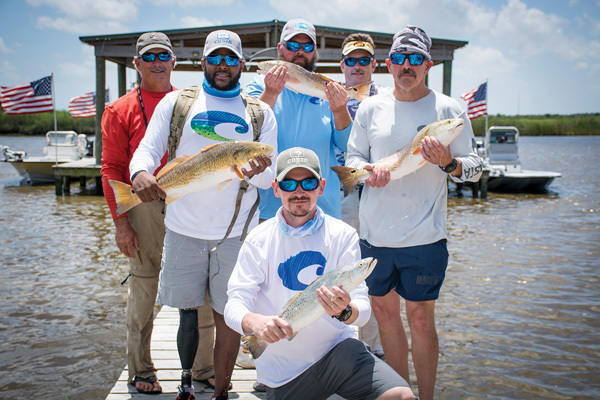 Last year’s group of invited veterans enjoyed a great inshore fishing trip. Marine Sgt. Cory, Army Sgt. Bill, Cpl. 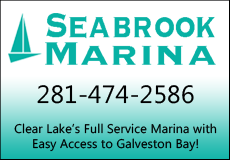 Jeramie and Master Chief Kevin spent a day on Galveston Bay catching redfish, flounder and trout. Great things continue to be born of the relationship between the Freedom Alliance and TBC. Dudley Wood, a tournament participant and owner of the 54’ Bertram Smoker II, even donated a hunting trip to a group of five veterans he met during the tournament last year. 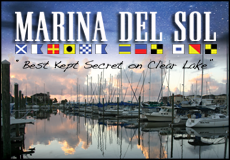 Gulf Coast Mariner encourages our readers to donate and volunteer for the Freedom Alliance and other worthy veterans charities but Pepper Ailor wants to see something greater happen. “Form a genuine relationship with a veteran.” Ailor said. “There is too big a gap between the lives of our defenders and the public sector. Our veterans need to do a better job opening up and civilians need to listen better. Marty Griffith’s Over-Ride with the tournament record blue marlin at 410 pounds. Photo by Brandon Rowan. 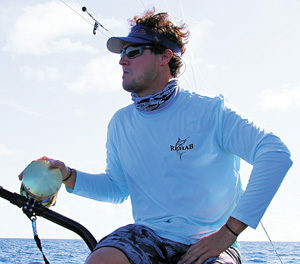 The TBC continues to be one of the fastest growing competitive billfish events in Texas. The high number of billfish catches in August along the Texas shelf also adds to a spirited weigh-in and awards banquet on Saturday night. Fishing the TBC is known to be hot by day and festive at night. New for 2018 is the inclusion of the Billfish Classic Cup trophy. 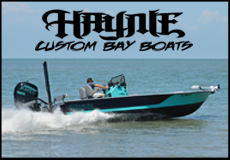 The winner of the BCC will be decided by the boat with the highest total release points from both the Texas Billfish Classic and Mississippi Gulf Coast Billfish Classic, and in turn, take home a minimum of $10,000 cash. This conservation minded tournament also encourages billfish release with the highest minimum in the state for harvesting Blue Marlin at 107 inches. Don’t miss the hot fishing and festive nights this revived classic brings to Freeport. The general public is welcome and encouraged to attend the weigh-in on Friday and Saturday. 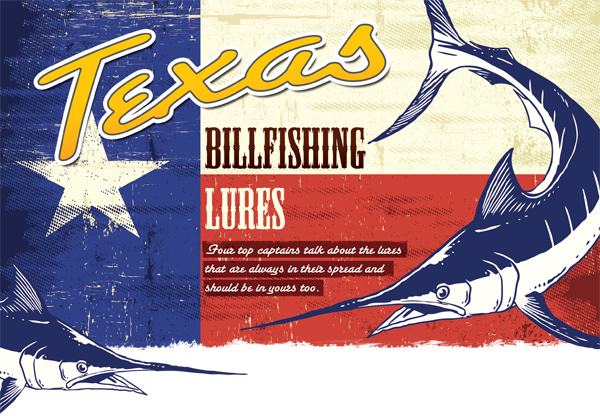 Four top captains talking about the Texas billfishing lures that are always in their spread and should be in yours, too. Some of Capt. Deerman’s favorite Wide Range color combos. 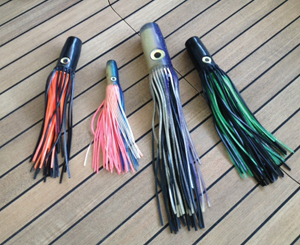 Marlin Magic Baby Ruckus 03/46 skirt combo at Melton International Tackle.